Update November 4th. Urgent Action: Please sign a Petition to Help Save Mentally ill Man From Execution. Update: Imdad’s execution has been stayed until the Supreme Court reviews his case again in the second week of November. Please continue to sign the petition, as Imdad’s stay of execution is only temporary and he is still at risk of execution. Urgent Update 29 October 2016. Please sign the petition if you have not already done so and share widely. “There’s no time to lose: Imdad Ali, a severely mentally ill prisoner in Pakistan, is now scheduled to be executed at dawn on Wednesday (November 2nd) after the Supreme Court ruled that his execution could go ahead despite prison doctors confirming that he has severe paranoid schizophrenia. The Supreme Court argued that the execution could proceed because paranoid schizophrenia is “not a mental disorder”. Please read the following from Reprieve and sign the petition to President Hussain to stop the execution. The Pakistan Supreme Court refused an appeal to stop his execution, meaning only the Pakistani Government can now halt Imdad’s execution. International law prohibits the execution of mentally ill prisoners. “Imdad Ali, a Pakistani former electrician with severe mental illness, is due to be executed at dawn on Tuesday over a 2002 shooting. Despite a family history of mental illness, Imdad did not receive a proper medical assessment at his trial and was instead convicted without his mental illness being properly considered. During his time on death row, Imdad was diagnosed as suffering from severe paranoid schizophrenia. Imdad has spent over 16 years in prison, where his mental health has significantly deteriorated. Pakistan has signed international agreements which prohibit the execution of mentally ill prisoners. Please take action to save Tibet’s Larung Gar monastery. 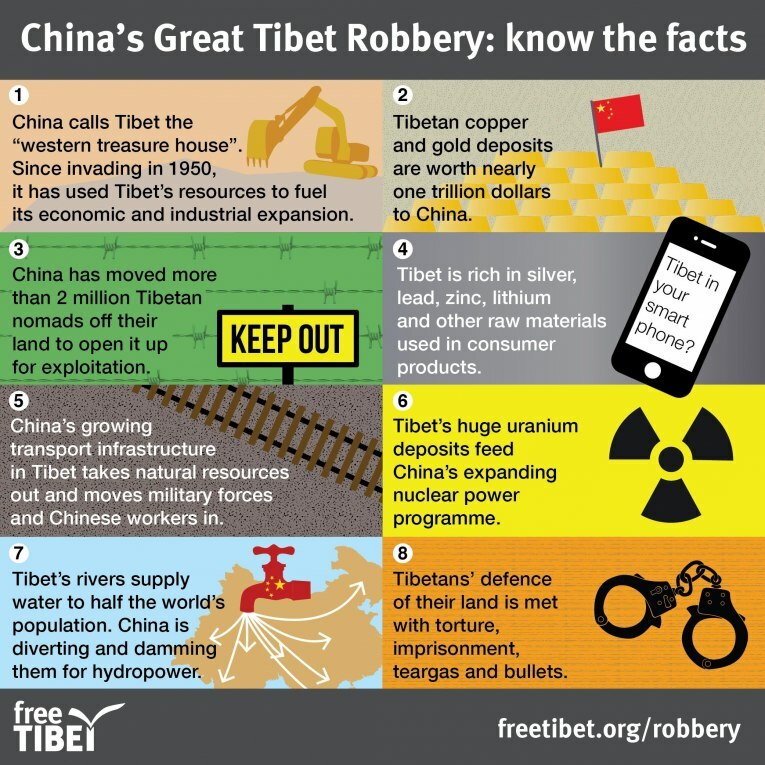 Please read the following from the Free Tibet Society and take the suggested actions. 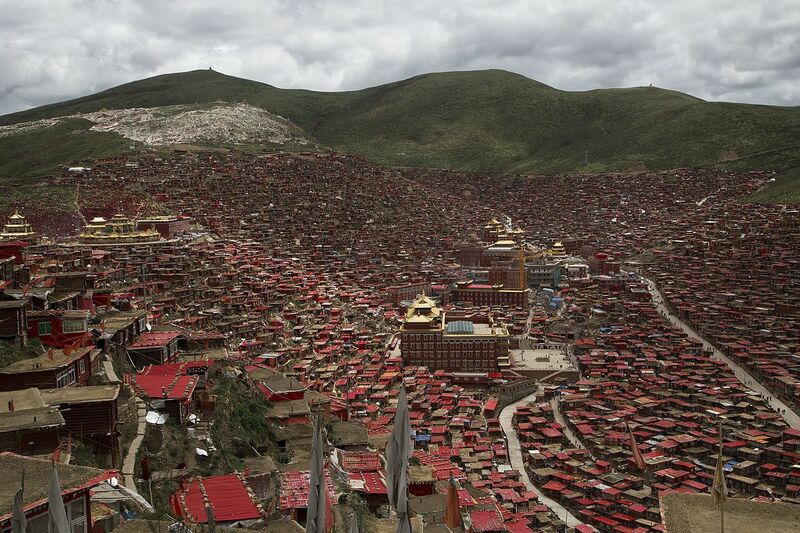 “Larung Gar Buddhist Academy, the largest Tibetan Buddhist institution in the world, is under threat. Under plans issued by the local government, a series of forced removals and extensive demolition work will be carried out to cut the number of residents from 10,000 down to 5,000 by October 2017. The first round of demolitions and removals, carried out in July, reduced large areas of the site to rubble and caused widespread distress among Tibetans. https://freetibet.org/urgent-action-larung-gar-buddhist-academy – includes a simple petition and other actions such as writing to your country’s Chinese embassy and your foreign minister. All details of how to do this are included in the above link. Regardless of what you think about religion, this is about freedom. The right to choose your own beliefs, your own way of life, your own culture and ideology. Its about a grave social injustice which the world has for the most part turned its back on. Tibet is not a part of China, Tibet belongs to Tibetans. Tragically there is little attention to Tibet Worldwide. Larung Gar is said to be the largest Tibetan Buddhist institute in the world but more importantly it is an important part of a culture, a religion and a way of life important to the Tibetan people. Freedom to do as one pleases in life unless it harms others is surely a human right. As an occupier of Tibet the Chinese it seems can do as they please with little opposition from western countries. Countries such as the USA and the UK which are only to quick to use oppression and human rights as a justification to invade other countries when it suits their own agenda while ignoring the plight of the Tibetan people because doing so interferes with relationships with China. Since 1950 Tibet has been occupied by the Chinese while in the same space of time more than 100 other countries have achieved their freedom. The Tale of Donald Trump Jr. THE TAIL OF DONALD TRUMP JR. In the bullfighting, after a matador tortured and murdered a bull, he will mutilate the ears and tail of the animal as a trophies or spoils of war against innocent and unarmed creatures. 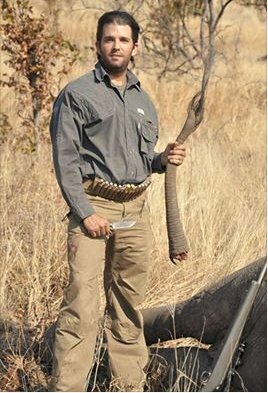 Donald Trump Jr. has also awarded himself his tail when hunting elephants, one of the most endangered species. In this world of turmoil, war, disease, greed and exploitation it can feel as though there is no one left who cares about other people or the other beings with whom we share this world. The focus of life seems to be the acquisition of wealth and power at the expense of one another, other animals and the environment. There are though many exceptions and often in the most unlikely places. Below is a heartwarming story with a positive outcome for both people and animals. The so-called Sand Fire that burned for over a week near Los Angeles didn’t only threaten wildlife sanctuaries. Soon after the wildfire started on July 22, Mark and Lisa Tipton, owners of Deaf Dog Rescue of America (DDRA), a non-profit organization that rescues, trains and rehomes hearing-impaired dogs, decided it was better to be safe than sorry. They evacuated the rescue ranch’s nearly 50 residents. The Tiptons were eventually able to find a temporary home for the dogs at the California state prison in Lancaster, which invited them to bring the dogs there. Mark happens to operate the Karma Rescue Paws for Life dog-training program for the prison’s inmates. It is California’s first and only dog program in a high-security prison. Many of the participants are serving life sentences. 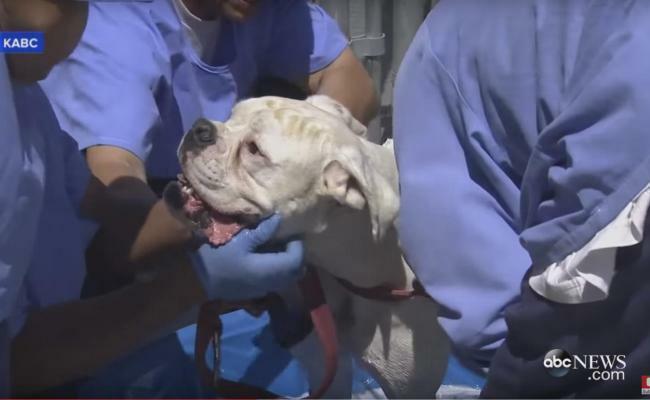 In this program, dogs rescued from high-kill shelters around Los Angeles County live full-time with the participating inmates. http://www.care2.com/causes/prisoners-care-for-deaf-dogs-displaced-by-wildfire.html Please do read the entire article and watch the video. This is a really positive story and shows that compassion exists in places you would least expect showing that for the most part there is good in everyone and people can change. The inmates morale was boosted by their role in the care of these displaced and disabled dogs and as a result of this scheme in just two years 75 dogs were saved from death and now have a forever home.